Do you live in an area known for its strong winds and frequent damaging storms? If so, your commercial garage doors have probably seen better days and likely need repairs or even complete replacements. Here at Action Garage Doors we know how important it is for you to have strong garage doors that are capable of withstanding the harsh weather conditions in your area. Our technicians are highly trained and are able to handle all of your garage door repair or replacement needs, regardless of the type of garage door you currently have. We are also happy to offer garage door recommendations based on your particular needs and budget. 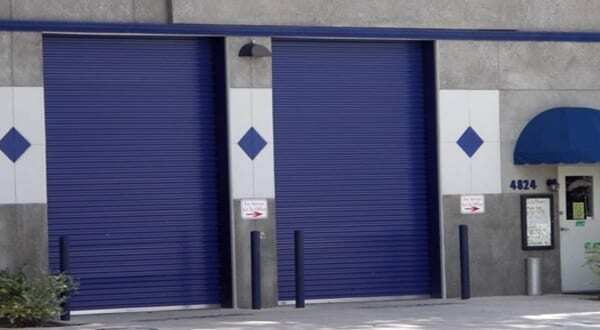 For commercial buildings located in high-storm areas, we recommend you have the Amarr garage door model 5652 installed. While some low-quality garage doors might easily be bested by winds exceeding 100 miles per hour, the Amarr model 5652 is built to withstand winds that reach up to 130 miles per hour, thanks to its UHMW nylon wind locks. There aren’t many garage doors capable of withstanding such strong winds, which is why this particular garage door is preferred for areas that experience frequent storms. Although the model 5652 is incredibly strong and reliable, it is still very easy to operate and will easily accommodate the high cycle needs of your busy commercial building. To find out more about our impressive Amarr garage door model 5652, give Action Garage Door a call today at (877) 392-2590. We will be more than happy to help you decide if the durable 5652 garage door model is the right fit for your commercial building.